From Newport, Oregon, to 30 miles west of Newport, then south 10 miles to the seaward slope of Perpetua Bank. Seas: gentle seas, winds 10 knots. A great trip with good seas, soft breeze, and lots of birds and marine mammals in view constantly throughout the day. Highlights included high numbers of Pink-footed Shearwaters, Buller's Shearwaters, Sabine's Gulls, South Polar Skuas, and Humpback Whales. 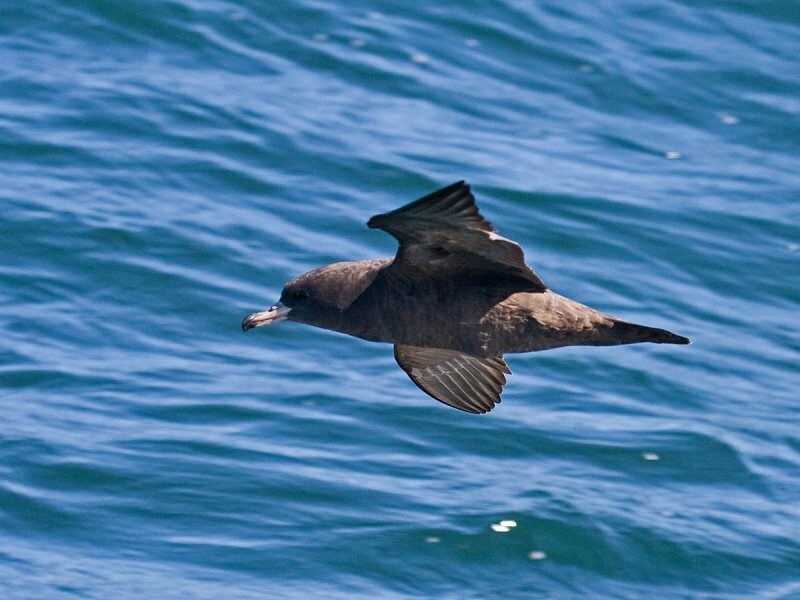 The Flesh-footed Shearwater views (photo above) were better than any we've had in 10 years. Alcid numbers were low. Saturday's pelagic trip went out of Newport, Oregon in somewhat foggy and cool conditions (55F). Typical early fall seabirds included good numbers of FORK-TAILED STORM-PETRELS, RED-NECKED PHALAROPES, and SABINE'S GULLS. Other August specialties included LONG-TAILED JAEGERS and ARCTIC TERNS. It is now possible to use web-based AIS to locate commercial fishing vessels the morning of our trip to see if any are in range. 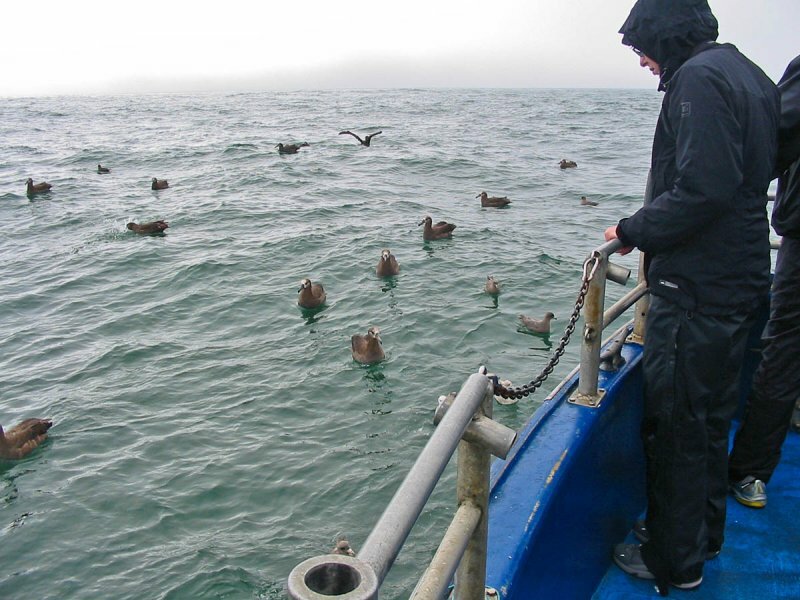 On this day we located 2 hake fishing boats exactly on our Perpetua Bank chum stop location, so headed there first. Most of the albatrosses and fulmars were here. After an hour or so with no new birds we headed out to 400 fathoms just west of 125W, about 40 miles west of Waldport. Trip guides were Tim Shelmerdine, Tom Snetsinger, Shawneen Finnegan, Russ Namitz, and Greg Gillson.